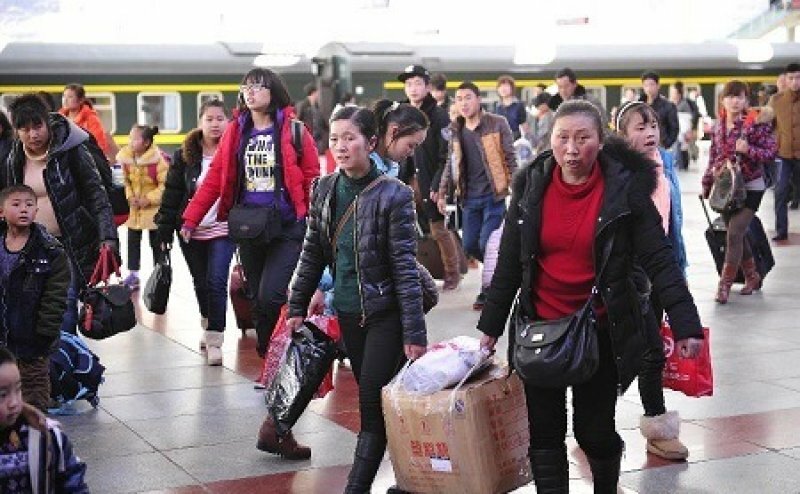 The central government pushes 280 thousand citizens to move in the Tibetan capital to "support the advancement of the region". The government in exile: "With this excuse, they are in fact marginalizing the natives from every sphere of influence". Since the launch of migration policies to date, non-Tibetans living in the region have increased tenfold. Dharamsala (AsiaNews) - The Chinese government has authorized the transfer of 280 thousand Chinese Han (majority ethnic group in China) to Lhasa, capital of Tibet. According to the executive, it is a move to "strengthen the permanent urban population"; for Tibetans it is yet another attempt to destroy the local identity. This new influx of residents will increase 30% by 2020 and will bring the urban population to exceed one million units. The natives, on the contrary, are settled in the countryside or in small towns and do not exceed 5 thousand inhabitants. Beijing approved the urbanization plan proposed by the local government of Tibet. Lobsang Jamcan, Chairman of the regional Tibetan government, said that Tibet's urbanization still lags behind many regions and that Tibet must improve public services in small cities and towns to attract more talent and to boost local economy". The project is part of a master plan prepared by Deng Xiaoping in the late 1970's. The then communist leader gave a strong impetus to the migration policies of ethnic Han - the majority in China - already launched by Mao Zedong to "integrate" Tibet to the motherland. With increasing technical capacity and infrastructure, between the 1980'sand 2013, the non-Tibetan urban population has increased tenfold. With the opening of the railway that links Gormo (in China) to Lhasa (Tibet), in 2006, every day about 3 thousand han arrive in the region: of these, say the official statistics, "half stops for an indefinite period of time". In September 2011, Beijing announced an allocation of 300 billion yuan (38 billion euro) to support 226 "key projects" for the development of Tibet. These range from the railway sector to dams, through the exploitation of the subsoil and the promotion of tourism. All have been entrusted to Han owned companies. The Tibetan government in exile, based in Dharamsala with the Dalai Lama since his escape in 1959, accuses the new immigration policies: "Under the guise of the economic and social development, Beijing encourages its population to migrate to Tibet with the clear aim to marginalize Tibetans from the economic, educational, political and social life of the region"
According to Tibetan exiles, currently the region is home to about 7.5 million Han Chinese compared to 6 million Tibetans. Moreover, since 1992 Beijing has allocated 40 thousand soldiers to the region: the figure reached 100 thousand units in 2010, during the crisis of the self-immolations of residents, scores of whom have set themselves on fire to protest against communist persecution. Xinjiang, more violence: 15 Uyghurs killed by police for "terrorism"